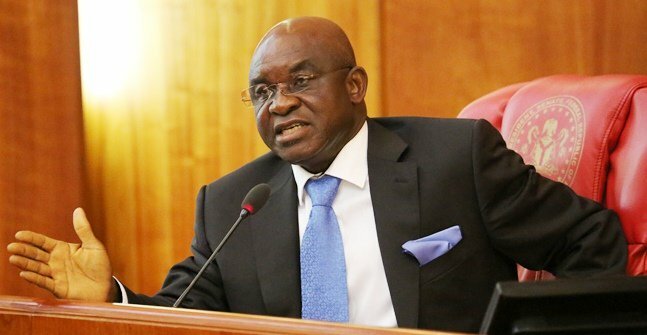 Former Military Governor of Niger state and the former Senate President, David Alechenu Bonaventure Mark, better known as Senator David Mark has voiced out his thought regarding the breaking up of Nigeria. While leading members of the Nigeria Defence Academy (NDA) 3rd Regular Course Alumni Association on a courtesy visit to the Kaduna State Acting governor, Alhaji Aminu Shagali, in Kaduna today to mark the Golden Jubilee ( 50 years) of their entry into the NDA, David Mark insisted that Nigeria is indivisible no matter what, stressing that “the unity of Nigeria is not negotiable” and this he stated this while leading members of the Nigeria Defence Academy (NDA) 3rd Regular Course Alumni Association on a courtesy visit to the Kaduna State Acting governor, Alhaji Aminu Shagali, in Kaduna today to mark the Golden Jubilee (50 years) of their entry into the NDA. "Those who are agitating for otherwise are missing the point. Nigeria has crossed many crucibles . We cannot reverse ourselves. The only option is to move on in a manner that is progressive, peaceful and united. We may have our disagreements. But a break up is not an option. We can resolve our differences through meaningful dialogue and genuine conversation. There is no use heating up the polity."